These natural stone earrings are the color of a sea breeze if you could see the breeze. 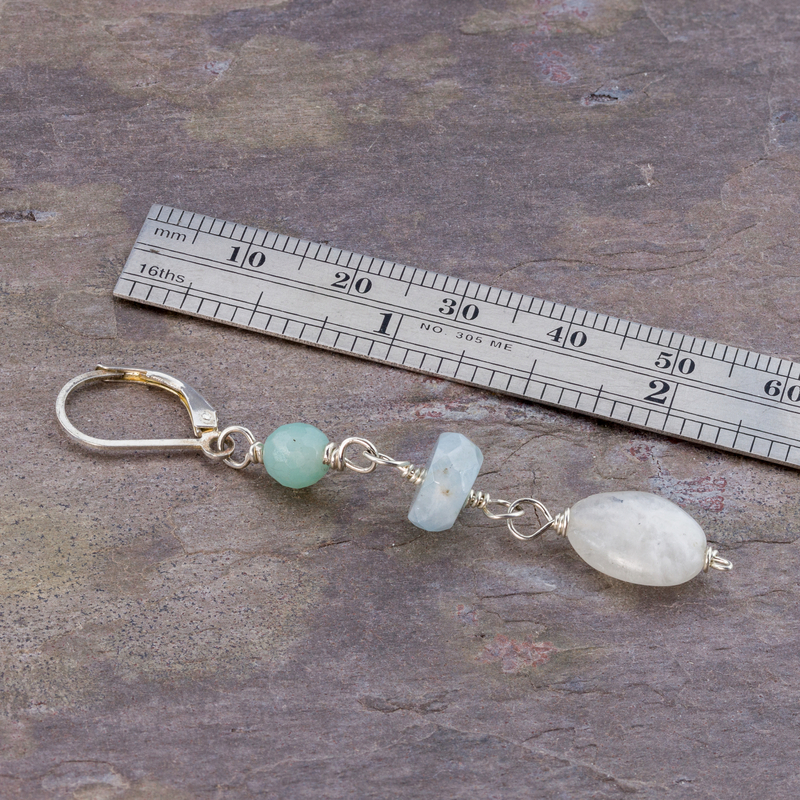 Palest blue aquamarine and barely there aqua amazonite stones are linked together with bright sterling silver wire and a cloudy white moonstone nugget. Simple linear dangles dance with your movements making them fun to wear. 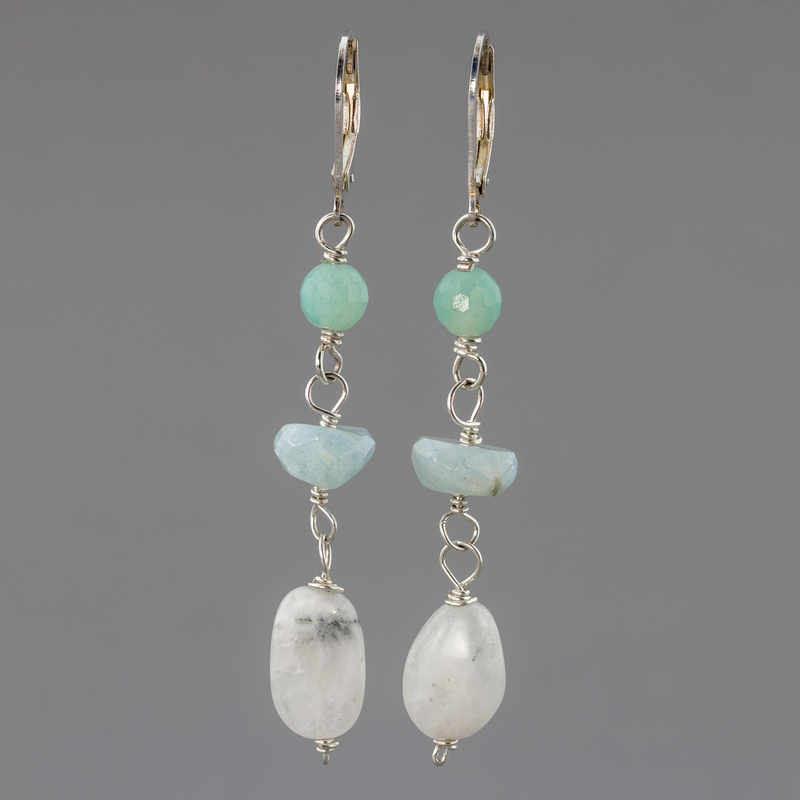 The aquamarine stones are rustic hand cut nuggets and have a less formal feeling than"jewelry store gemstones" making these March birthstone earrings a great choice for the modern, active woman. June birthday? you're covered too, since moonstone is your stone. These handcrafted earrings complement the gemstone charm bracelet also listed in my webstore.